There are two sides to King's Quest VI. On the other hand, it is nicely written fantasy fairy tale of Prince Alexander of Daventry, who is on a quest to find his true love, Princess Cassima, whom King Graham saved at the end the previous story alongside his family. On the other hand, it is, at times, extremely naive and childish, which makes the game as a whole feel a bit odd, as there can such a huge gap between the two sides, that they don't mix together very well. Or even feel like they should be in the same game. Alexander has been pining for Cassima for months. He's sobbing and sighing in the throne room when the fabled Magic Mirror of Daventry shows him a vision of Cassima as well as stars above the Kingdom of the Green Isles, her home. With this knowledge at hand, Alexander bids his mother Queen Valanice adieu and heads to the sea. For three months he sails the seas only to get shipwrecked during a storm. 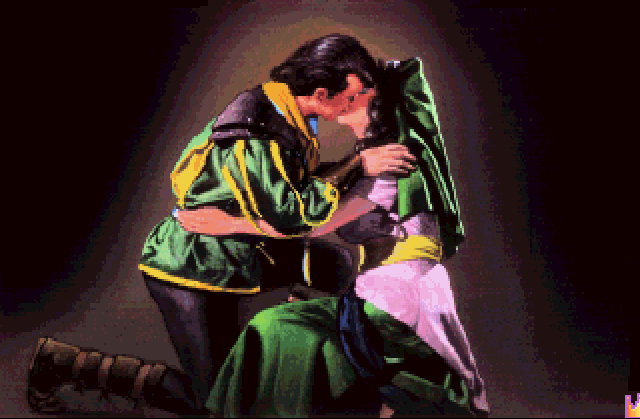 Luckily he was on the shores of the Green Isles, so now he only needs to find the Princess of his heart. It doesn't take long for him to find out that things are rotten in the Isles. The monarch couple is dead and the princess is locked in her room for mourning. The things are run by a suspicious Vizier Abdul Alhazred (a nod towards H.P. Lovecraft's mad Arab), so armed only with his conviction of true love, Alexander starts to figure out what is going on in this little kingdom. King's Quest VI is the second game in the series starring the Prince of Daventry, Alexander. His previous quest took place in King's Quest III. The next part of the series would see the leading roles going to his sister Rosella and mother Queen Valanice. 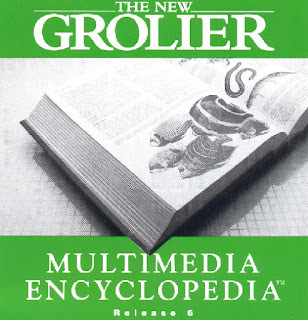 The seventh entry in the series saw finally a main character outside the royal family, but that as such was the end of the series in Sierra's hands. Many King's Quest fans consider this 6th instalment of the series to be one of the best and it is pretty easy to see why. 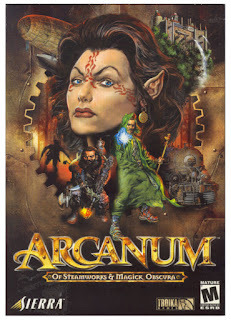 It's not only relatively well written, thanks to Jane Jensen's hand in the script, it also is very, very nice looking game with a great soundtrack and way, way above average voice acting and cast than what was the norm for the time it was made in (the floppy version was released in 1992, talkie CD version in 1993). Unlike the King's Quest V, that was manned mainly by the employees of Sierra, King's Quest VI has voices like Tony Jay, Dave Fennoy, Neil Ross among other well-versed voice actors. The presentation with King's Quest VI is so good, that it's pretty easy to miss out any problems the game actually has. And there are some quite noticeable ones. The most glaring one being the Isle of the Sacred Mountain, that is mainly just one, big copy protection scheme, where you are seemingly solving puzzles, but which are answered in the game's manual and would be pretty hard to solve without it. The island also contains a two-level minotaur maze, which you need to go through several times, as you most likely won't get there with all the needed items the first time. The maze also has a copy protection puzzle of its own. Another trial and error location is the Land of the Dead. Both of these places are such, that you can't leave them once you enter, so saving before you enter is mandatory. Another glaring issue is the tonal differences of certain areas. The Isle of Wonder especially feels like a location that has escaped from a game meant for much younger audiences with characters more fit to children's books. 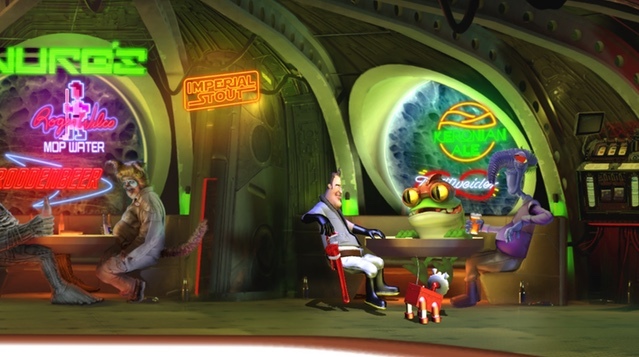 It's at the same time incredibly naively written as well as a bit surreal location, that just doesn't feel like a good fit to the game. The Isle of the Crown and the Isle of the Sacred Mountain are much more typical fantasy lands and the Isle of the Beast is just a direct nod towards the fairytale roots of the King's Quest series, this time in the form of the Beuty and the Beast. And then there is the Land of the Dead and the Isle of the Mist, which both stand out from the rest by being actually relatively scary locations. The other place is filled with dead people, on the other place, a bunch of druids try to sacrifice Alexander by burning him in a wicker basket. If Jane Jensen's hand wasn't visible in other places, these two locations flow over the brim of her darker style. 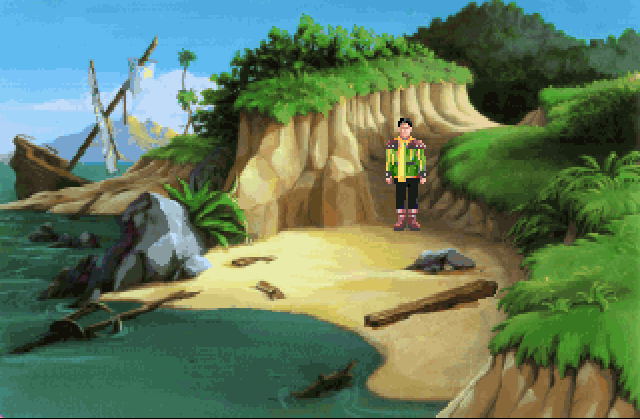 At times the tonal differences are so great, that it very much feels like some of these locations were meant for an entirely different game, but were mixed up with King's Quest VI by an accident. But again, the main story itself is fairly well written and is, probably, the strongest story any King's Quest game has had. The Vizier feels like a genuine villain and he even seems to have a motive that is more than just being evil for evil's sake. This also is the game where the previous events of the series are retconned in a fashion to a larger narrative, despite that was mostly chucked away in the final two official games. Personally, I've never thought it necessary to try and fit all the games in the series into a larger storyline. As stories they are what they are; fairytale inspired adventures. There's no need to try to turn them into some sort of epic, as that feels more clumsy than genuine story flow. 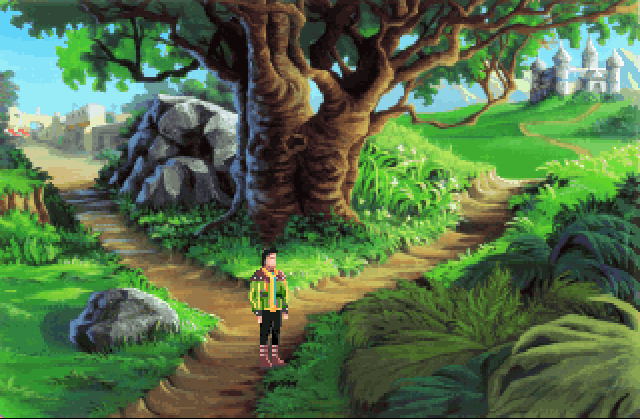 Another interesting aspect of King's Quest VI is the multiple paths to the end. You can actually skip a good portion of the game, thus getting into the not so good ending, where the parents of Cassima are not rescued. While most of the game is played the same way, you can at one point infiltrate the castle without ever visiting the druids nor the Land of the Dead. This by in itself is a pretty interesting twist to the more typical Sierra adventure structure. Also, it does give the game a layer of replayability. 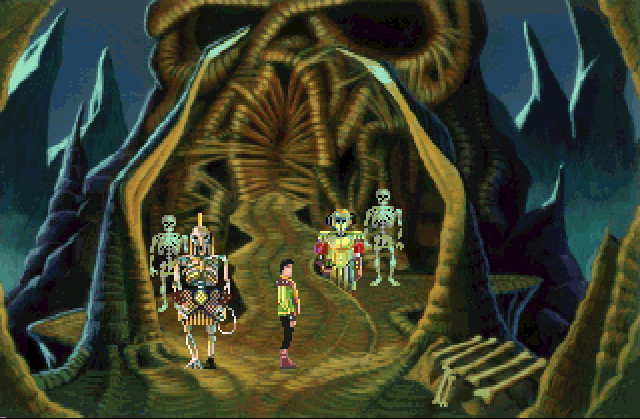 King's Quest VI is not as good of a game it could have been. While it is fun and at times very charming and engaging, it also has its own fair share of bad design work in the way it plays and how the world it has is constructed. With some more work it could have turned into the best entry in the series, but now it's merely a good game instead of great. If you fancy giving King's Quest VI a spin, it's available either from GOG or Steam. Steam version offers the KQ Collection that has all of the games sans Mask of Eternity, so that might be better bang for the buck if there's no serious discount going on.